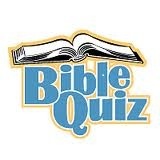 Click here to go to the Bible Quiz Registration page. Senior High Level: Kettle Moraine Baptist Academy placed First. Senior High Level: Kettle Moraine Baptist Academy placed 3rd. Elementary FQA: Kettle Moraine Baptist Academy placed 1st.